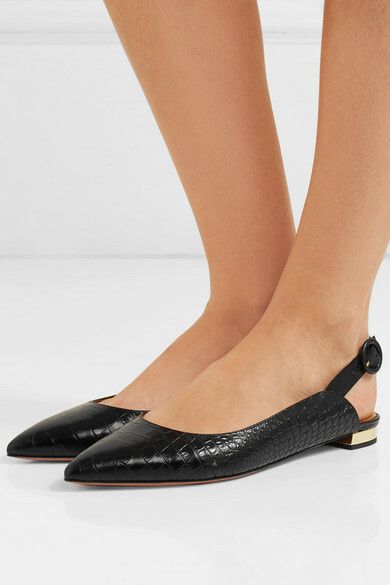 Aquazzura's Creative Director Edgardo Osorio says that wearing a pair of flats with an evening dress is such an elegant choice, and this versatile 'Yale' pair will also look great styled with jeans or cycling shorts. 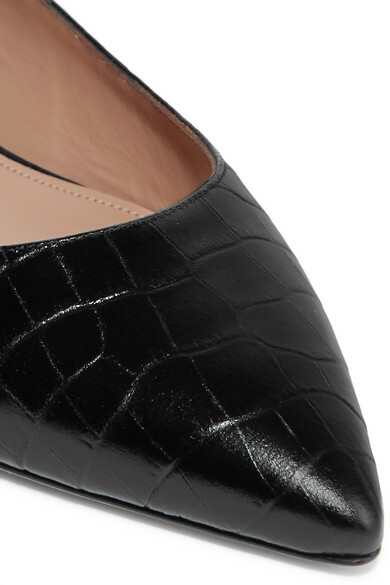 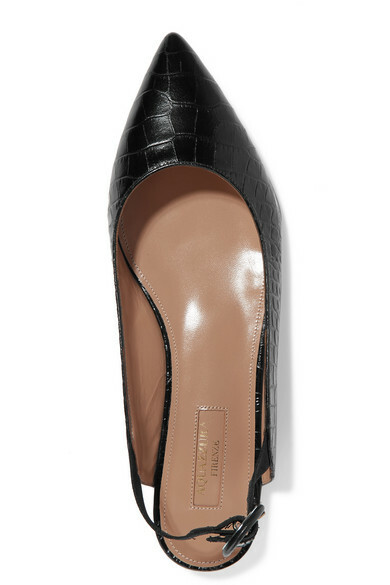 They've been expertly been made in Italy from black croc-effect leather and shaped with pointy toes that'll make your legs look a little longer. 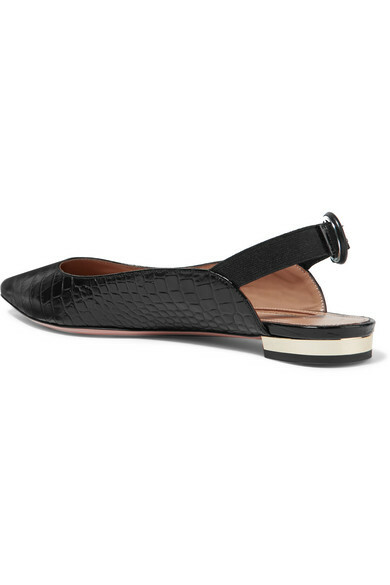 The buckled slingback strap is also elasticated for extra comfort. 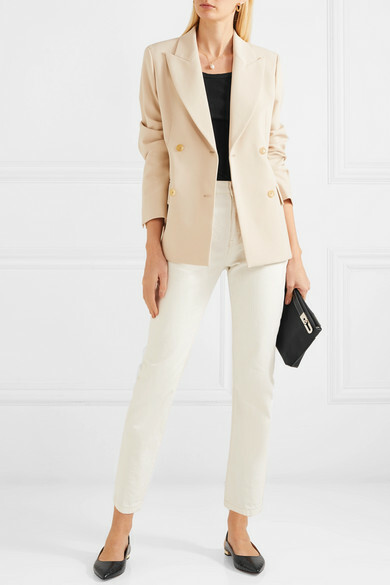 Shown here with: ATM Anthony Thomas Melillo Shorts, James Perse Tank, Isabel Marant Blazer, LOW CLASSIC Shoulder bag, Sophie Buhai Earrings.